Some english Stuff you can find left handed at the menu. Bis zum relaunch des PDHSoft-OnlineShops gibt es die GaComToBo hier Kostenlos. 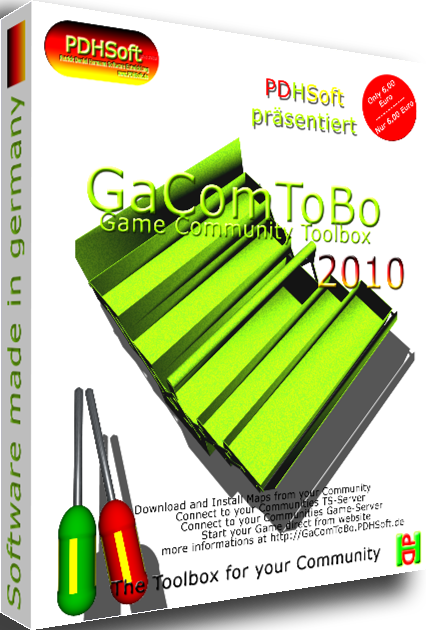 Until the relaunch of the PDHSoft - Online store you can get the GaComToBo here for free. Informationen wie Sie in der neuen Toolbox werben können.